I am a 30-something stay at home mom who has a passion for food and cooking. As a child I was raised on wild game, raw milk and garden fresh veggies and it is my hope to raise my child equally well. As a college student the ethics of food became very important to me and I was a vegetarian for some time before deciding it was not for me. My journey has ultimately led to my belief that food, as life, is something with which all people should be intimately connected. My interest in food and nutrition was increased during my training as a Chinese Medical doctor and now that I am a mom my commitment to real food has been re-vitalized. After practicing acupuncture and Chinese herbal medicine, I have a great respect for the healing power of food. Additionally my travels and my own beliefs about community have led me to strongly support local eating and seasonal growing. I believe that the healing power of food is more than physical – food brings people together, creates community, and can revitalize an economy. I live in Santa Fe, NM with my family, which includes four cats, two dairy goats, and ten laying hens. I am working towards becoming more self sufficient through gardening, animal husbandry and bread making. I am hoping to instill in my child a sense of connection to food and a respect for the work that goes into turning earth into life. I’m glad you started a food blog- my favorite subject! I’m excited to read more. I really wanted to try to make sourdough with wild yeast after reading Ominvore’s Dilemma but sadly, as you know, my life is exploding at the moment. Glad I get to live vicariously through your foodiness at the moment. Wonderful blog! It’s great to find other Chinese medicine doctors with such truly valuable knowledge of nutrition. Thank you! It’s great to see that I’m not alone, not to say I’m a farmer or grow my food to your extent… I aspire to, so thanks for the inspiration! Chinese medicine often recommends (red) meat for blood deficiency patterns. Vegetarians often say they can get all the nutrients from vegetarian sources ( beans, rice etc.). Is there any (Western) constituents that are unique to meat that might explain Chinese medicine’s perspective? The first thing that comes to mind regarding meat vs. vegetarian sources is that meat has ALL the necessary proteins (amino acids) in it, whereas in order to get complete proteins from vegetable sources you have to do food combining (rice with beans being the best example). I’m glad I found you this week. I’m enjoying reading your blog and I’m picking up some good tips here and there. Thanks. Hey there! Appreciate what you’re doing, Lorelei. Great article in “Edible SF”. Is that beautiful baby in the photo yours? No, the baby in the pic was a stock photo! Thanks so much for reading! After reading your blog about the drought, and your self-description above, I thought of a book I read a few years ago. It’s about gardening in the southwest, but I can’t remember if it was AZ or NM? It’s called Gaia’s Garden. It might have some good tips for you. Also check out Permaculture Activist. It’s a mag, but they have a great website. Read your article in Edible Santa Fe. I’ve been struggling to articulate this growing philosophy I have about food and your article summed so much of it up quite beautifully. I would like permission, or would you be interested in, reprinting that article for the newsletter for my professional organization? Please contact me at nmdapresident@gmail.com if you are interested. You can check out our website at eatright-nm.org. 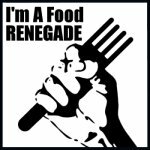 I’m trying to get my organization more involved in food systems and your article will help me explain that. Thanks!